WHEREAS, the hiring practice of asking applicants about their salary histories during the hiring process may perpetuate pay inequity and may result in misalignment between position responsibilities and an applicant’s qualifications. Commonwealth agencies (hereinafter “Agency”) under the Governor’s jurisdiction shall not inquire about a job applicant’s current compensation or compensation history at any stage during the hiring process. D. a system which measures earnings by quantity or quality of production, sales goals and incentives. All Commonwealth position postings shall clearly disclose a job position’s pay scale and pay range. The Commonwealth shall disclose on the employment website that the applicant is not required to furnish current compensation or prior compensation at any stage during the hiring process. The Office of Administration shall oversee implementation of this Order. ii. Any policy establishing pay scales or ranges for classes of employment. B. 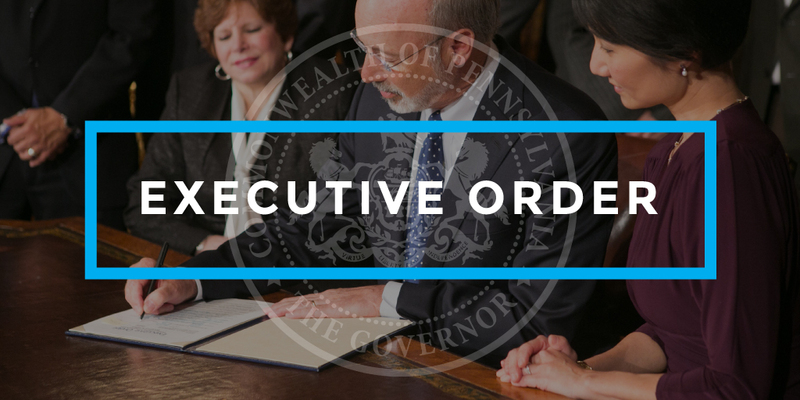 This Executive Order is not intended to, and does not, create any right or benefit, substantive or procedural, enforceable at law or in equity by any party against the Commonwealth of Pennsylvania, its departments, agencies or entities, its officers, employees or agents, or any other person. This Executive Order shall take effect in 90 days.